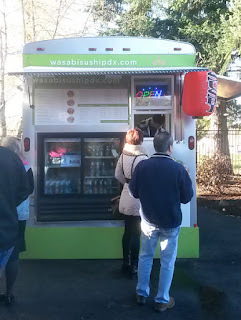 Wasabi Sushi is located at the Happy Valley Station pod (SE 145th and Sunnyside) in Happy Valley, Oregon. 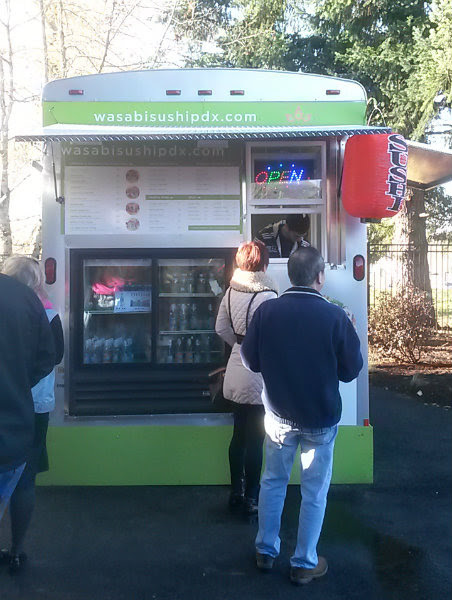 This cart is located on the back left side of the pod (West side of the lot). Several sushi options on the menu, ranging from nigiri to the specialty sushi. There are also wraps available. 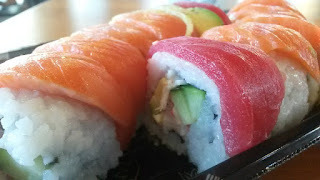 I chose the Rainbow Roll ($8) for its beautiful, colorful appearance and array of seafood used. A roll with crab and cucumber inside, and a combination of tuna, salmon, and avocado on top. Immediately, I saw the glistening tuna and salmon on top and had to snap a picture. Easy to tell it was fresh and sliced properly. 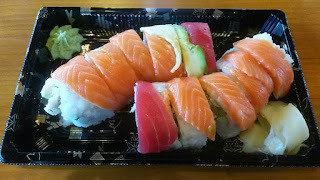 The fish and avocado seemed to melt on my mouth, and I savored each piece with a bit of wasabi and soy sauce. 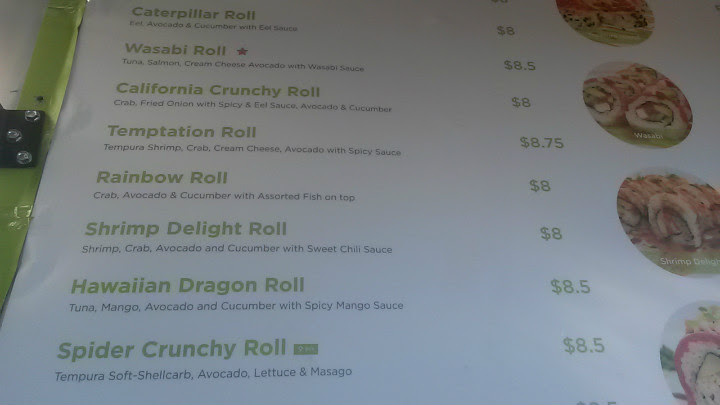 This is a place that does sushi right. 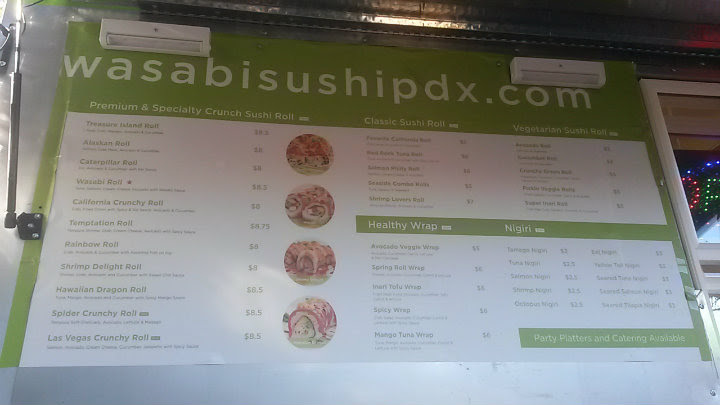 There is a red star by the Wasabi Roll ($8.50), which has tuna, salmon, cream cheese, and avocado with wasabi sauce. 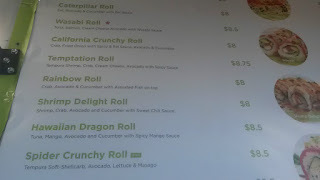 I'm also curious on the Hawaiian Dragon Roll ($8.50), which adds mango and a spicy mango sauce to sushi.